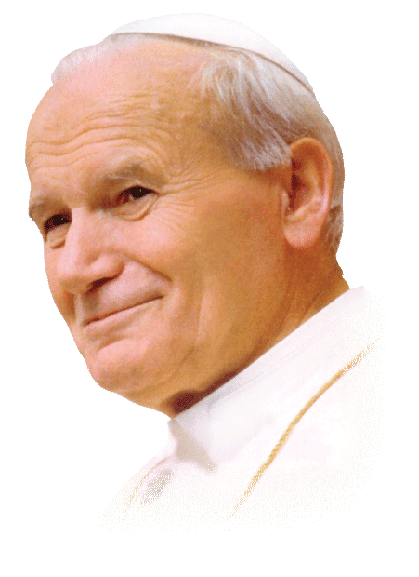 View from the Domestic Church: In honor of Blessed Pope John Paul II: A Review of "You are my Hope"
In honor of Blessed Pope John Paul II: A Review of "You are my Hope"
Today is the feast day of Blessed Pope John Paul II. I am blessed to be part of a review team for a special project produced by CCC of America about Blessed John Paul II called "The Man, The Pope, and His Message." It is a re-release of a series of documentaries comprised of a 4-disc DVD series which contains five hours of footage providing an in-depth look at Bl. 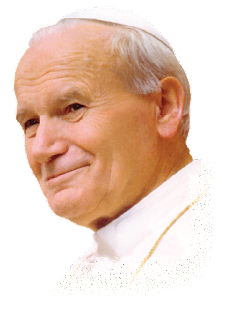 Pope John Paul II's life, papcy, and message. CCC of America has made special arrangements with the Vatican and Alberto Michelini, the renouned Italian journalist to produce this series. The press release regarding the reviewers of this project is here (my review will follow): Ushering in the celebration of Blessed John Paul II’s October 22nd feast day on the anniversary of his inauguration as pope in 1978, CCC of America is partnering with 10 popular Catholics in the Blogosphere for a special project on his legacy. With footage secured through special arrangements with the Vatican, CCC recently released John Paul II: The Man, The Pope and His Message, a Special Edition remastered multi-DVD documentary series providing an intimate portrait of this iconic Church and World Leader. Each of the 10 short films, directed and produced by renowned Italian Journalist, Alberto Michelini, will be reviewed by 10 Catholic leaders in Catholic New Media. Blessed. Pope John Paul II is a hero to me so to see him in this series really warms and inspires my heart. Although, he was a regal pope, he was no stranger to hardship. He understood what it was like to grow up with intense challenge and always wholeheartedly challenged the youth of today to reach for holiness no matter what. His message was often demanding but the youth responded to it with great enthusiasm. The greater the challenge from Bl. John Paul II to the youth, the greater the applause from the youth at all his visits with them. The young people never failed to exude enthusiasm and great emotion being in the presence of Bl. Pope John Paul II. Their spiritual father told them, "You are my hope. You are the hope of the Church." The youth always came to hear the message of their dear Papa. "If you want peace open your hearts to Christ." He constantly challenged them to consistently strive for peace and lead lives of holiness. He told them, "Jesus Christ gives hope and meaning to our lives." "If you want peace, work for justice. If you want peace, proclaim the truth. If you want peace, treat others as you want them to treat you. In short, if you want peace, you must love." Bl. Pope John Paul II viewed youth as a key stage in every person's life. He understood the restless heart of young people, a heart that unceasingly seeks an answer to the meaning of life and their future. He never cased to set ambitious goals of holiness for youth. "Be perfect as your Father who is in heaven is perfect" he would tell them. It was so important for Bl. Pope John Paul II to meet with the youth wherever he traveled. He took more than 100 trips in Italy alone and there was always a crowd of youth waiting to see him. "Be ready to commit your life every day to transform history." And, he encouraged them with such loving words, "The future of the world shines in your eyes." Volume Two of this DVD series shows moving narrated clips of Pope John Paul II with various groups of youth around the world. Pope John Paul II had such an amazing way with youth. His love for them showed immensely through their embraces, their conversations, their repartee, their prayers together. Bl. John Paul II's words to youth speak to all of our hearts. "To be truly free does not in any way mean to do what I like, to do what I want to do. Freedom contains in itself the criterion of truth, the discipline of truth. To be truly free means using one's own freedom for what is a true good. Therefore to be free means to be a man of upright conscience." I wholeheartedly recommend this beautiful documentary film series and am looking forward to watching it in its entirety along with my family. CCC of America has done a fine job in bringing the fruits of Bl. Pope John Paul II's legacy to life to inspire us further on our journeys of holiness. We can all put Bl. John Paul the Great's words into practice: "Be strong in your faith. Do not be afraid to bear witness to it wherever you are. Always be ready to give reason for the hope that is within you." J P 2, we LOVE you! Please intercede for youth and all of us on this your feast day, dear Papa!